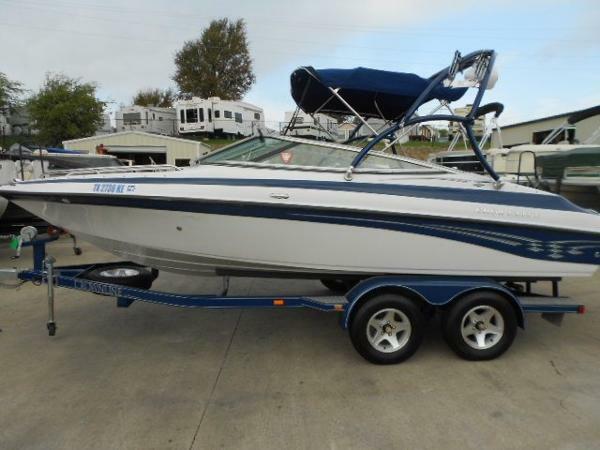 The seller says this has been a great boat that he has thoroughly enjoyed. He reports having kept it well maintained. 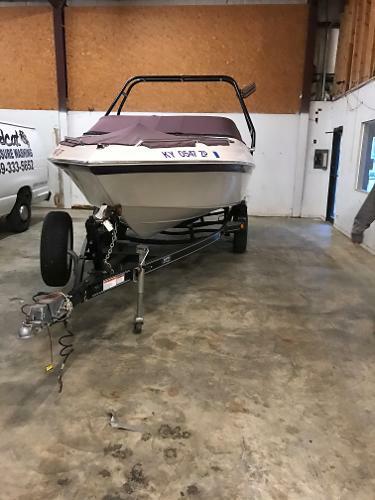 He says this boat is ready for the water when you are, so make this boat your own. There is a little dent on one of the trailer fenders. Hey, stuff happens. We encourage you to send us all your questions. Showings are available by appointment only. 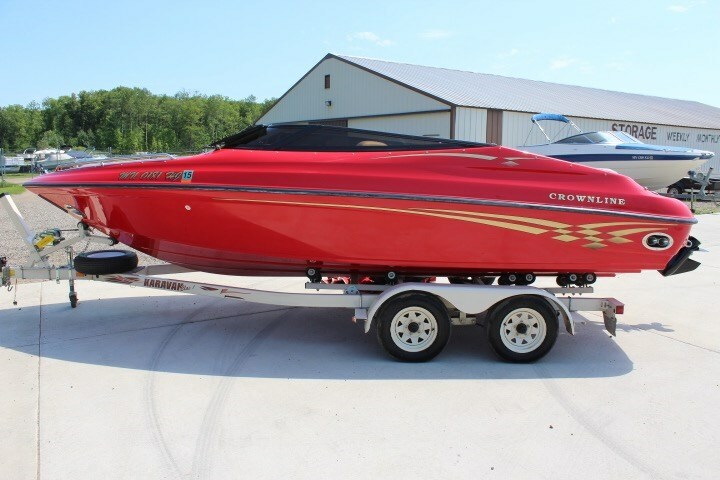 Stock #162873 Get out and enjoy the water in this beautiful bowrider by CROWNLINE. 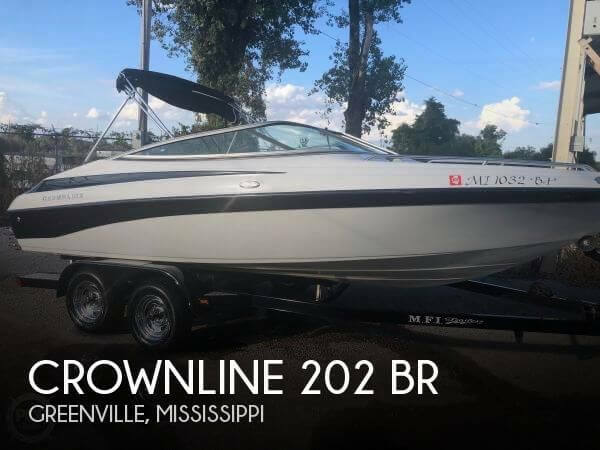 If you are in the market for a bowrider, look no further than this 2003 Crownline 202 BR, priced right at $19,000 (offers encouraged). 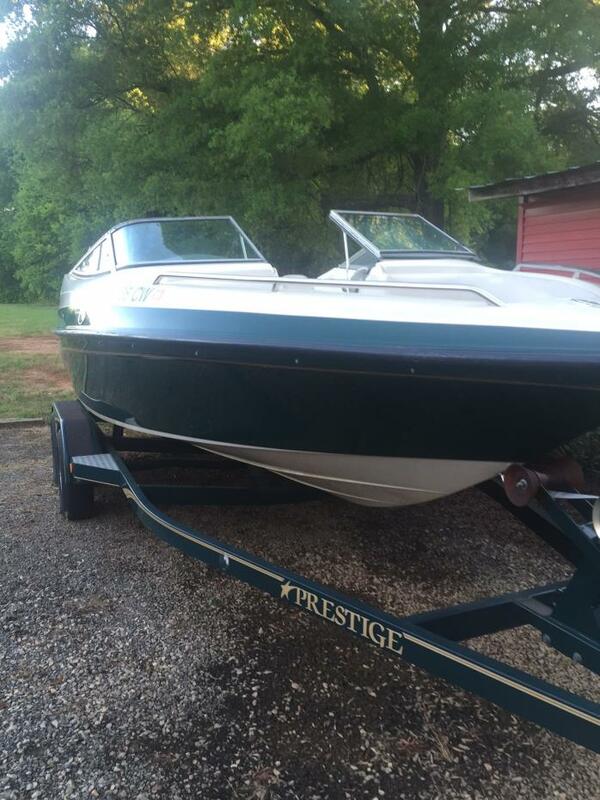 This boat is located in Greenville, Mississippi and is in good condition. 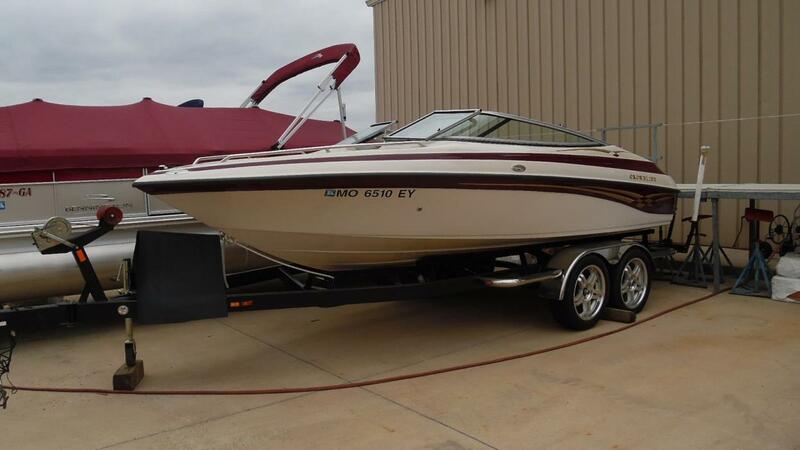 She is also equipped with a Volvo Penta engine that has 350 hours. 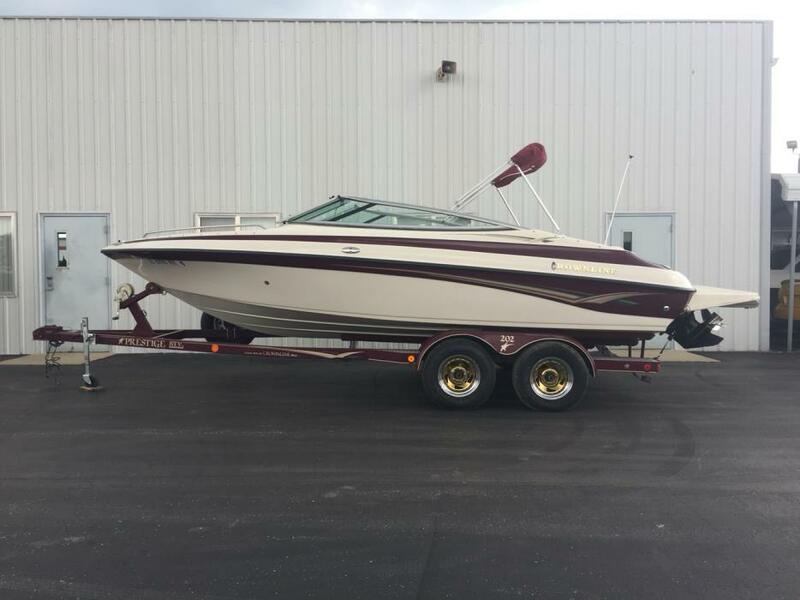 Reason for selling is purchased new boat. 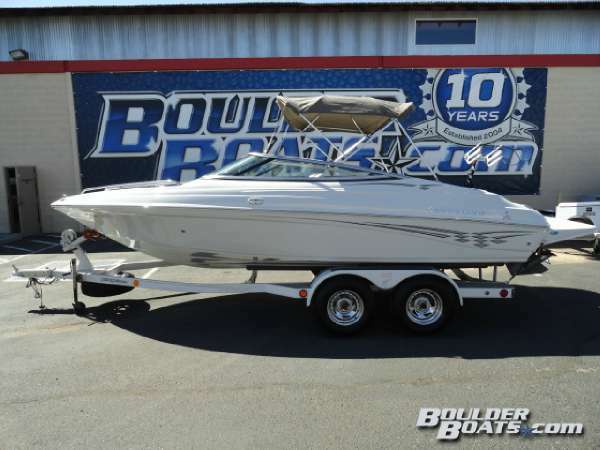 2002 Crownline 202BR, Very clean pre owned 20' bow rider with a Mercury 5.0. Call 573-348-3888 for more information. 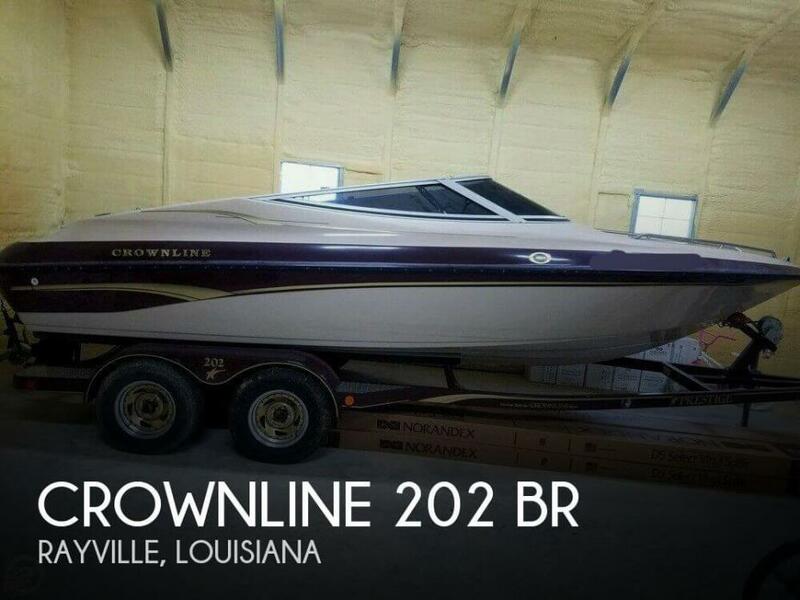 2001 Crownline 202 BR 5.7 Volvo with Volvo outdrive w/ duoprop. Wake tower. 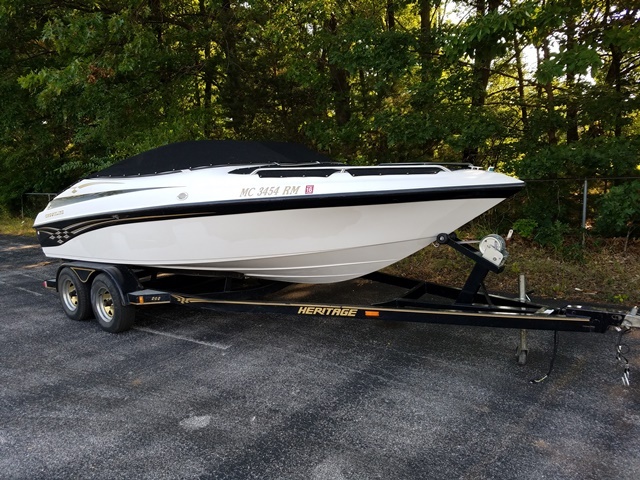 Wakeboard rack.~ 640 hours, always professionally maintained with receipts.Winter 2016 had Professional buff/wax/winterization w/ new belts/plugs.Trailer is in good shape good tread etc. 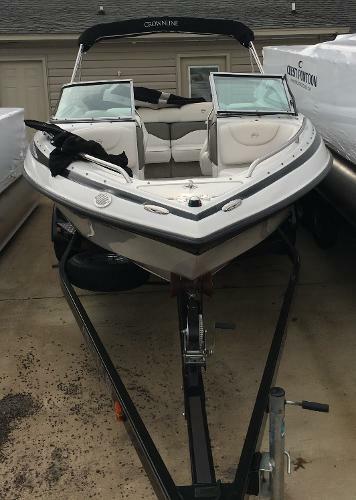 Some spider cracking where wake tower was originally mounted but was moved and is good there.Passenger side bow seat seam is pulling away a little bit (shown in pictures).Does come with the snap on carpet for the cockpit. I had it out to clean. All electronics work well, new marine stereo put in last summer.Not sure why it shows dirty in the photos. It is a brilliant white vinyl. 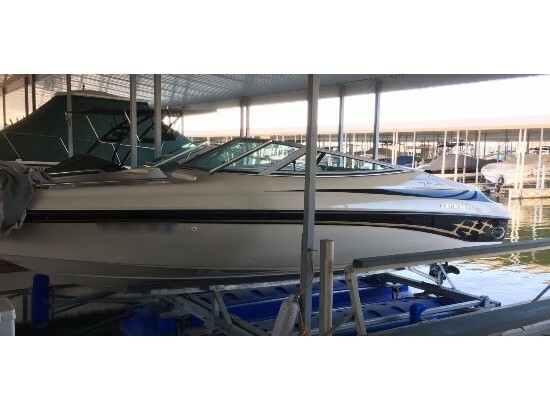 Boat is stored in wearhouse when not in the water. My phone number is 502-545-8132. 2006 Crownline 202 BR The Crownline 202 BR returns this season with a newly designed upholstery pattern to go with a choice of 3 interior layouts: Super Sport and two traditionals. Its sleek design and performance capability are two of the reasons it's so much in demand. The other is its impressive list of standard equipment. This versatile combination provides sport boaters with just the right doses of what they need for swimming, fishing, sunning or just plain water-romping. 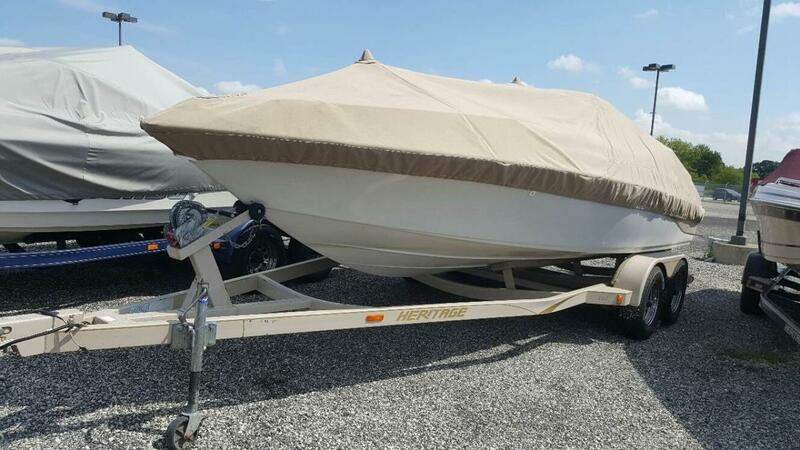 2005 Crownline 202 BR 2005 CROWNLINE 202 BR W/5.0L MERCRUISER 156 HOURS WAKEBOARD TOWER W/SPEAKERS AND RACKS, EXTENDED SWIM PLATFORM, BIMINI TOP, SNAP ON BOAT COVER AND TANDEM AXLE TRAILER. 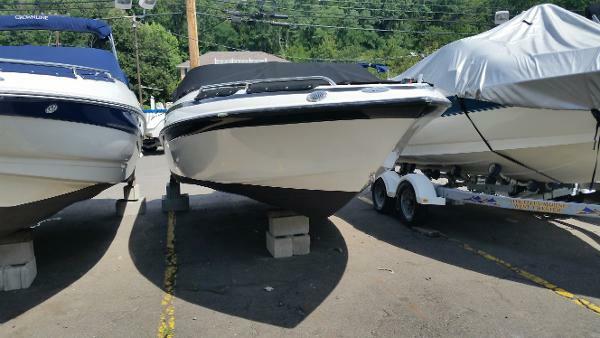 THIS BOAT IS FULLY SERVICED AND LAKE READY!!!!!!!!!!!!!! 2003 Crownline 202 BR The Crownline 202 BR returns this season with a newly designed upholstery pattern to go with a choice of 3 interior layouts: Super Sport and two traditionals. Its sleek design and performance capability are two of the reasons it's so much in demand. The other is its impressive list of standard equipment. 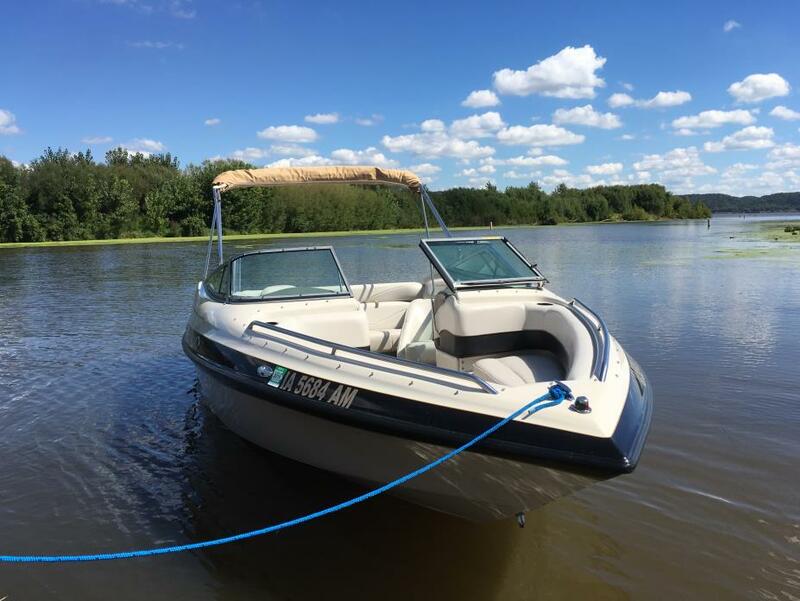 This versatile combination provides sport boaters with just the right doses of what they need for swimming, fishing, sunning or just plain water-romping.